Rev. 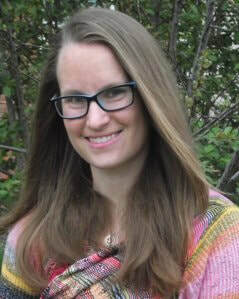 Carly was ordained in 2013 and has served as Sabbatical Minister at the Unitarian Church of Calgary, Assistant Minister for Outreach and Social Justice at the First Unitarian Church of Hamilton, and Executive Director of Welcome Inn Community Centre. She completed her Master of Divinity and Master of Social Work at Waterloo Lutheran Seminary/Wilfrid Laurier University. Rev. Carly’s ministry is grounded in interweaving spiritual growth, community, and social justice, and she is passionate about exploring innovation and entrepreneurship in Unitarian Universalist communities. When not at church, she can be found playing soccer, ultimate frisbee, reading, and practicing and teaching yoga. She lives in Hamilton with her partner, Curtis Murphy and son, Darragh. Birgitta MacLeod is an educator, artist and entrepreneur. She has been the Director of Religious Exploration (DRE) at UUCD since 2004. She also owns and operates a gallery in Port Perry with two artist partners. Birgitta has more than 25 years' experience researching, writing and delivering curricula. Birgitta lives in Port Perry with her husband of 30 years, Don, and her children, Christopher and Olivia. James has fond memories of his own experiences participating in UU activities as a teenager and brings a broad range of stories, wisdom, caring and creativity to his role as Youth Advisor. James is a civil engineer and a father of two grown children. He lives in Pickering with his wife of 28 years, Cynthia.